In Colombia, this town, RICAURTE, has long been known as the home of Los bobos, "the foolish ones" Thanks to some misleading religious stuff. Some also say that a witch woman in the town prepared a love potion that sometimes went wrong, producing intellectual disability instead of undying devotion. 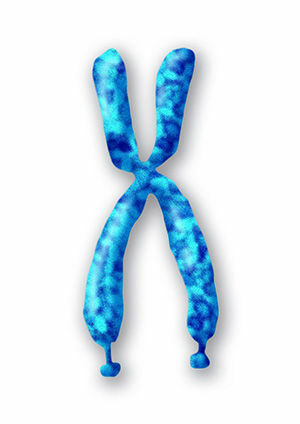 But now doctors know that it is home to the world's largest known cluster of people with fragile X. One researcher, medical geneticist Wilmar Saldarriaga-Gil of the University of Valle (Univalle) in Cali, Colombia, has made Ricaurte the focal point of his scientific inquiry. Saldarriaga-Gil, who vacationed nearby as a child, says he has visited about a hundred times since the mid-1990s to trace how fragile X affected the town and its inhabitants—and to try to understand details of the syndrome's biology. "This is a history of scientific research, a history of my community, a history of my life," he says. Saldarriaga-Gil's obsession with this town began in 1980. As a boy, he spent summers at a family home in Huasano, 10 kilometres away. When he attended church here, he couldn't help noticing the lanky men and women with large, flat ears who spoke very little or not at all. "Everyone who knows Ricaurte had curiosity," Saldarriaga-Gil says. "Why is it happening here?" To confirm that the resemblance was more than coincidence, in 1997 Saldarriaga-Gil took blood samples from 28 people in town who he suspected were affected. He analyzed each person's karyotype the number and appearance of their chromosomes by inspecting their blood cells under a microscope. The payoff from research in this town could have global impacts. Caused by mutations in a gene called FMR1 on the X chromosome, fragile X syndrome is the leading cause of inherited intellectual disability worldwide; it affects as many as one in 2000 men and one in 4000 women. And as a single-gene cause of autism, a recalcitrant complex condition, fragile X has been the focus of efforts to develop drugs for autism. The proteins disrupted in people with the syndrome are also key players in brain development. In March 2018, Saldarriaga-Gil and his colleagues reported that at least 5% of residents here carry either the full-blown fragile X mutation or less severe "permutations" that can trigger the condition in future generations. Premutation carriers usually escape cognitive problems, but some develop physical symptoms, including tremors and fertility problems. The research here might explain such variability, which could reflect how the protein FMR1 encodes, FMRP, interacts with other proteins and pathways. One name is circled, with sunlike rays extending out in every direction: Manuel Triviño, who may be Mercedes's great-grandfather. Saldarriaga-Gil says he suspects Manuel was one of the town's original settlers in the early 1880s and carried the premutation to Ricaurte. Everyone here with fragile X could be his direct descendant (although how the mutation spread to the Gorillas is still unclear). To confirm that "founder effect," Saldarriaga-Gil's team is conducting a haplotype analysis: The scientists are looking for other genetic variants shared by people with the condition, which would imply that they all share a common forebear. Among women, "mosaicism", in which a person's cells aren't all genetically identical, explains part of it. Because women have two X chromosomes, each cell turns off one of them at random. If most of a woman's cells turn off the mutated copy, she might show few outward signs of the mutation; if the normal copy is shut down more often, she might be more severely affected. Mosaicism emerges differently in men, who have a single X chromosome: Some of their cells may have the full FMR1 mutation—200-plus CGG repeats—whereas others end up with the shorter premutation or with a complete deletion of FMR1. The ultimate goal for fragile X researchers is to develop treatments. Because of its connection to intellectual disability and autism, fragile X has been the focus of an extensive and so far, unsuccessful drug development program. Several candidates that showed promise in early clinical trials fizzled out in larger trials. Researchers are seeking new proteins or pathways to target and some of those may emerge from the work done here. No one here is waiting for radical new treatments. Even if the residents can help researchers develop drugs, they know they are likely to be among the last to receive them. Given the harsh realities of life here with fragile X, some residents have made difficult decisions about the future of their families. Rosario Quintero's daughter, Sara, has the full mutation but shows no signs of the syndrome. Before Sara learned that she carried the mutation, she had a son, who also seems unaffected. But afterwards, she had her fallopian tubes cut so that she cannot have any more children. Another carrier, who chose to remain anonymous, also decided not to have children.